We have launched a 10-year programme in the second largest wetland system in South America after the Amazon: La Plata Basin. Our programme will focus on mobilising efforts to implement alternative development paths for the region by bringing together civil society organisations, the private sector, academia and governments. The programme will run pilot projects in three areas: the Pantanal in Brazil, the Ibera Marshes and the Paraná Delta in Argentina. 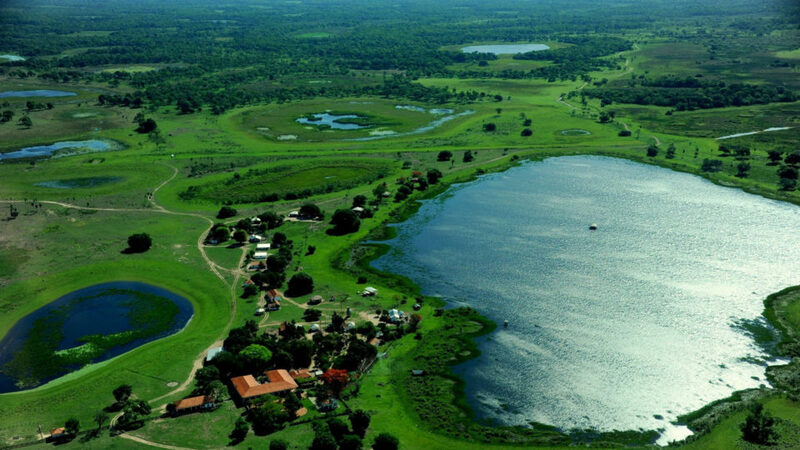 We want to prove that inclusive management practices, sustainable production of crops, and traditional livelihoods are among the solutions to safeguard and use one of the biggest freshwater wetland systems on earth, where the Paraná River and Paraguay River flow along 3,400 km. One hundred and twenty-eight million people in South America depend on this system’s health. If rivers are dammed and tamed, benefits such as maintaining freshwater and food supplies for rural and urban areas will forever disappear. 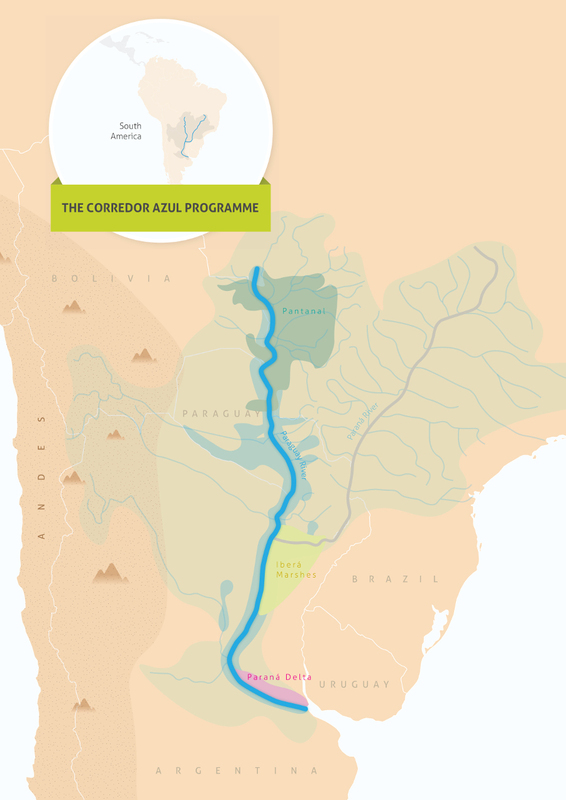 The Corredor Azul programme encompasses the fourth largest wetland system in the world, the heart of which is the Paraná River and the Paraguay River in South America. This system is unique because it flows from the humid tropics and enters the sea in humid temperate regions, making it one of the planet’s richest biodiversity hotspots. The wetland system around the Paraná River and Paraguay River faces a path of development that threatens its existence as it is today. For example, there are projections for 110 new hydroelectric plants in the Pantanal, high use of agro-chemicals in rice fields and forestry expansion in the Ibera Marshes, and large-scale agriculture and urban development in the Paraná Delta. We know that the region’s biodiversity and environmental security will be degraded within a couple of decades. This could increase catastrophic floods affecting people and property, threaten local food and income security, reduce economic productivity, and reduce people’s capacity to adapt to the effects of climate change. The Corredor Azul programme is designed to face those challenges and prove that a sustainable economic model is possible for this region. Corredor Azul is a programme led by Wetlands International and supported by DOB Ecology. Header photo by Mirian Coura Aveiro.